The poker world has gone through a number of significant changes in recent years, and 2018 will be no different. Here is a look at 5 poker world predictions for the next calendar year and beyond. The world’s largest online poker site has beefed up its rhetoric on entering a Merger & Acquisition phase soon, and 2018 will be the year that The Stars Group’s vision for the future of online poker partners with other big name corporate entities. In fact, the only thing TSG executives seem to hype more than getting rid of for-profit players is their desire to initiate an M&A strategy. The company hopes to obtain talent with skill sets that will move it farther away from traditional peer-to-peer competitive models, which will mean continued bad news for poker pros who patronize that site. With the recent announcement that mega affiliate PokerNews is majority-owned by The Stars Group, those who keep up with the industry could soon witness a formal declaration by PokerStars that its main competitor is Zynga Poker… and not other real money gambling websites. TSG’s 3Q-2017 earnings report showed increased revenue across the board for online poker, casino and sports wagering. So if ever there was a time for shot-taking to extract maximum value for the biggest online poker platform, 2018 is it. Perhaps the best-kept secret in the poker industry is how much everyone is looking forward to the 2018 American Poker Awards. Well, maybe not if you count how high the anticipation is for Season 2 of the Global Poker League. Congrats to the Las Vegas Moneymakers for winning @GPL! Sarcasm aside, fans have witnessed a meteoric rise in poker entertainment this year, led by live stream personalities who have provided value to their respective audiences while bringing more potential players into the mix. Some of the biggest names in poker at the moment include Doug Polk, Joey Ingram, Daniel Negreanu, Bill Perkins, Fedor Holz, ‘Jungleman’ Daniel Cates, Andrew Neeme and Phil Hellmuth. Yet it will be Supreme Leader Douglas K. Polk who hoists the coveted trophy at next year’s ceremony… if only so Alex Dreyfus can dissuade Doug from making another #lolGPL YouTube video. Now that Pennsylvania has formally legalized real money online poker, look for more states to join in 2018. There are currently four U.S. states that have passed legislation to regulate Internet poker so far (Pennsylvania, New Jersey, Nevada and Delaware). It will be interesting to see if Michigan, Illinois, New York, Massachusetts and perhaps other jurisdictions embrace similar regulation in the coming year. One major factor could be whether the Keystone State enters into a shared liquidity deal with NJ/NV/DE that would expand the regulated United States market to 25 million potential customers. Assuming PA’s integration (either as a compacted state or stand-alone region) is relatively seamless, the conversation on regulated online gambling in America should gain traction in 2018. Poker is peer-to-peer real money competition that’s more in line with eSports tournaments for games like League of Legends and Counter-Strike: Global Offensive (CS:GO) rather than house-edge casino products. And while PokerStars’ quest to rid its online platform of professional players has been awesome for its short-term revenue needs, the big money in the industry — at least if you go by what Mediarex CEO Alex Dreyfus believes — is tied to linking rankings systems for both poker and eSports. Will the #EntrepreneurLife guru spark a renaissance in how competitive gaming is viewed by fans? Or will his promotional efforts in the eSports realm fall flat similar to GPL’s Season 1 programming? Televised poker experienced some growing pains in the second half of 2017. Durr Challenge creator Tom Dwan (aka #SaveTom) kicked off a trend of high profile cancellations when he no-showed two Poker After Dark programs in nearly as many days. Then “Doug Polk Week” on Live at the Bike got upended with several players backing out of an aggressively-marketed high stakes game at the last minute. Fortunately, much of the worldwide poker audience forgave the eleventh-hour changes once ‘Jungleman’ Daniel Cates showed us “mad,” but it is clear that live poker programming will need to evolve next year in order to build on its success. And most of that responsibility lies with the cast members. Viewers are seeking justification as to why they should spend time watching live poker action instead of posting on Facebook or crawling the latest Netflix library additions. Televised poker will adapt to this challenge and rise to the occasion with content that provides a clear value to those who spend their time consuming it. 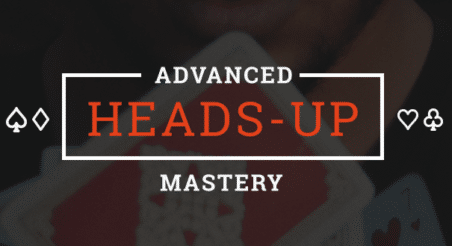 Join the 151,389 people that have upgraded their poker skills with our Preflop Charts – For FREE.